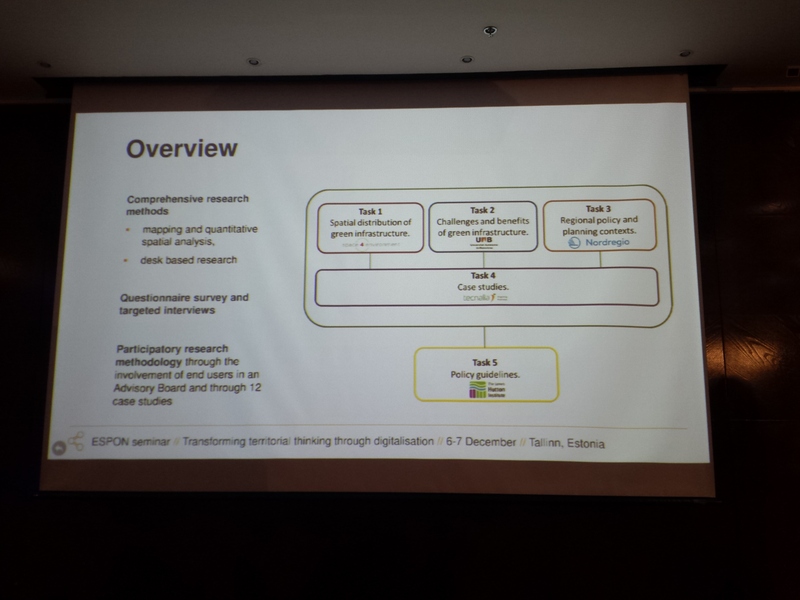 Interfase-UAB team has participated in the ESPON seminar focused on ‘Transforming Territorial Thinking Through Digitalisation”, representing two ongoing projects: ESPON 2020 Database Portal and ESPON GRETA. The seminar was held on the 6th and 7th of December in Tallinn, and was organised in cooperation with the Estonian Presidency of the European Union in the framework of the ESPON2020 Cooperation programme. Which mechanisms will work for everyone to facilitate the digital transition? Are there global standards applicable at any place? Is the combination of front-runners and capacity-building a solution? Should this be the basis for the cohesion foundations? Is digitalisation part of the solution? We don’t have the right policies yet for digital transition, we need the instruments. This requires proactive policies and a new public governance to provide opportunities to co-create. We need to build networks that favour cascading capabilities. Later, Hy Dao (lead partner from the University of Geneve) had the chance to present the ESPON 2020 Database Portal which aims to provide data and the structure that can be used by ESPON projects but also by other end-users. 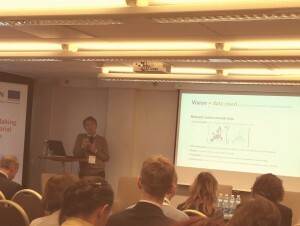 The main idea is to provide relevant and accessible data produced by ESPON projects or used in the building of indicators. In the afternoon, the new ESPON Applied Research projects were briefly introduced. 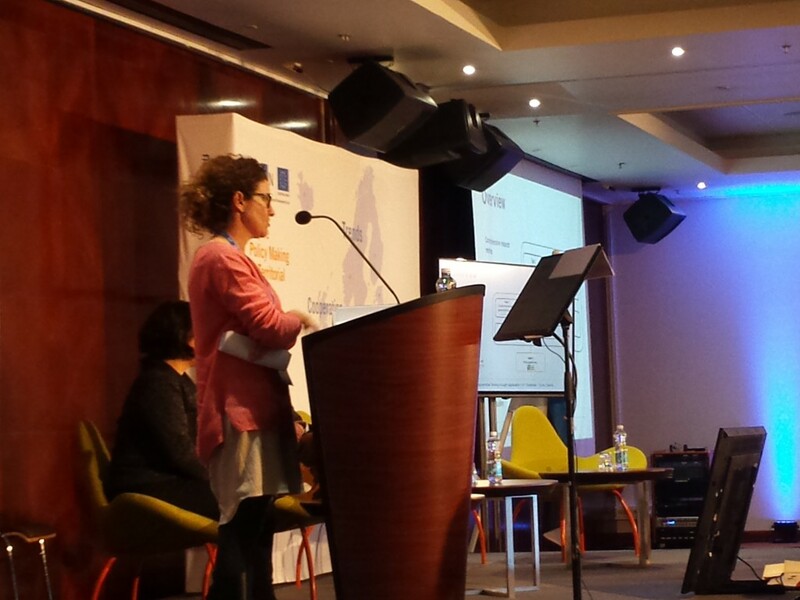 Here, Gemma García-Blanco (from project leader Tecnalia) presented the general overview of ESPON GRETA‘s approach to address the key policy questions. 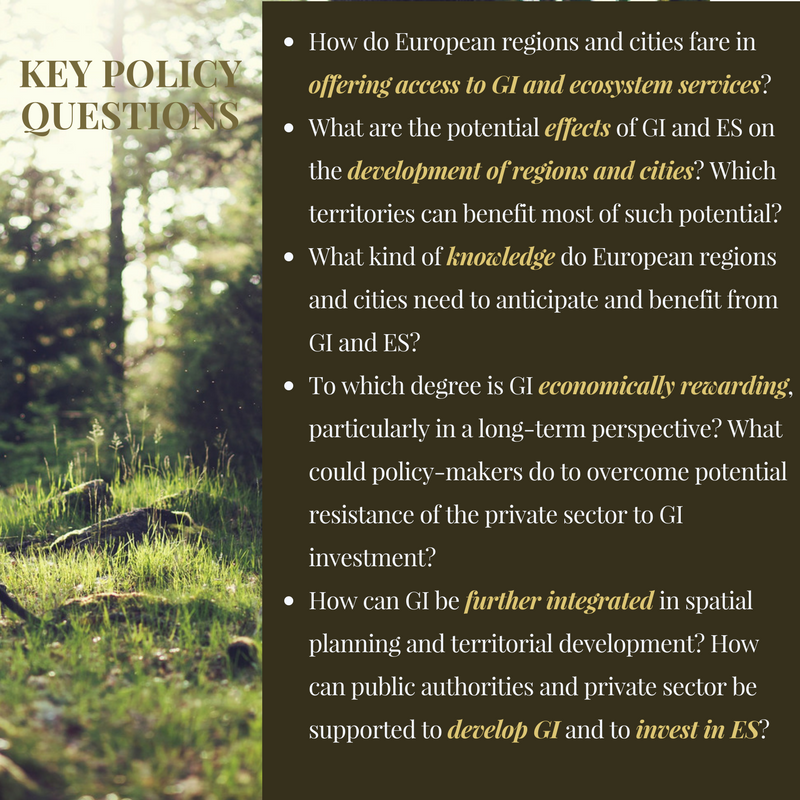 Roughly, GRETA aims to develop a comprehensive knowledge base for enhancing green infrastructure to benefit territorial development in different types of European regions and cities. We also had time for meeting partners of ongoing projects and to exchange experiences, especially those based on developing evidence-based policy recommendations. It was nice and inspiring meeting new and already well-known faces! The EEA has recently published a report entitled “Land recycling in Europe“, which presents approaches to measuring the extent and impacts of redevelopment and densification of previously developed land. recycling and densification’, by Roger Milego (UAB), Rastislav Stanik (EEA) and Geertrui Louwagie (EEA). 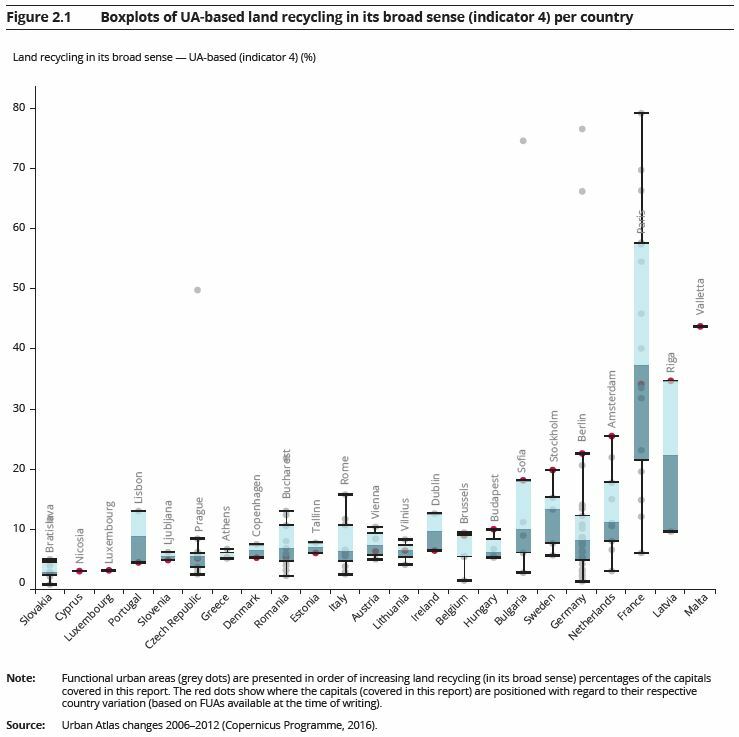 On average, land recycling has increased in Europe but the levels remain low compared to land take, the report shows. 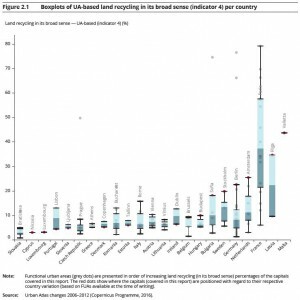 Based on Copernicus satellite data, land recycling as a share of total land consumption across EEA member and cooperating countries (EEA-39) has increased from about 2.0-2.2 % in 1990-2000 to about 2.7-2.9 % in 2006-2012. However, the rates vary considerably across countries. The report is fully available in PDF following this link. The EAGLE group (Eionet Action Group on Land monitoring in Europe) was set up in 2009 by members of EIONET NRCs on land cover as a response to the growing need to discuss solutions for a better integration and harmonization of national mapping activities with European land monitoring initiatives (i.e. CLC) at technical level, independently from any political or industry preferences, following the concept of a bottom-up approach. can be a useful framework for the integration of LC / LU information from various data sets in one single data model. is applicable on both national and EU level. is a vehicle for comparison and semantic translation between different LC/LU nomenclatures, and facilitates data exchange. is open to be implemented as a LC / LU data collection standard for national land monitoring initiatives. can be a coherent common data framework for several single GMES products (CLC, HRLs, Urban Atlas).